Driftwood textured fine silver pendant. Wood conveys both strength and flexibility. 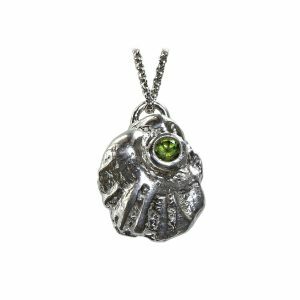 Wear this as a tribute to nature or to your own inner strength. 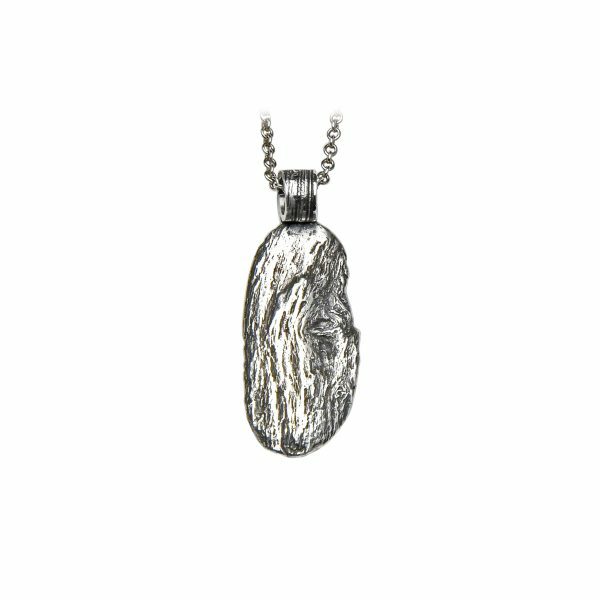 This unisex pendant can also be worn on a leather chain. This mold was made directly from a piece of driftwood near a beach in California. 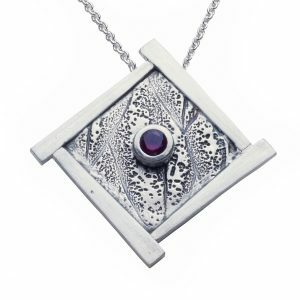 Crafted in fine silver precious metal clay, the details were refined before firing in a kiln, which produces a piece of solid fine silver jewelry. Patina was added to bring out the fine details of the wood pattern. 7/16″ wide by 1-1/4″ long.